The Ministry for Foreign Affairs has appointed Elna Nykänen Andersson to serve as Press Officer at Finland's Embassy in Stockholm. The three-year term will start on 4 March 2019. She will transfer to the post from content agency OTW. Elna Nykänen Andersson has a long experience of journalism and the production industry from, for example Sweden's national broadcaster SVT and the Monocle magazine. Thanks to her varied experience of communications and marketing, Nykänen Andersson has developed an extensive network of contacts to the Swedish media and Swedish companies and Finns in Sweden, which ensures that she has the relations needed in promoting Finland's country image in Sweden. The Press Officer is responsible for promoting Finland's visibility and influence in Sweden and for highlighting Finland's strengths. 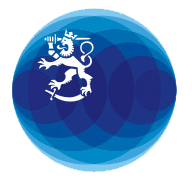 The duties include development of cooperation networks between central Finnish and Swedish cultural, business and civil society actors. The Press Officer also takes part in Team Finland activities and works in close cooperation with Business Finland, the Finnish-Swedish Chamber of Commerce and the Finnish Institute in Stockholm. Inquiries: Johanna Kotkajärvi, Deputy Director General, tel. +358 50 4010 380.